“Ugadi is a cultural festival but we also wanted Gramaseva,” says Raghunath Vasireddy, an engineering student from Amrita University. 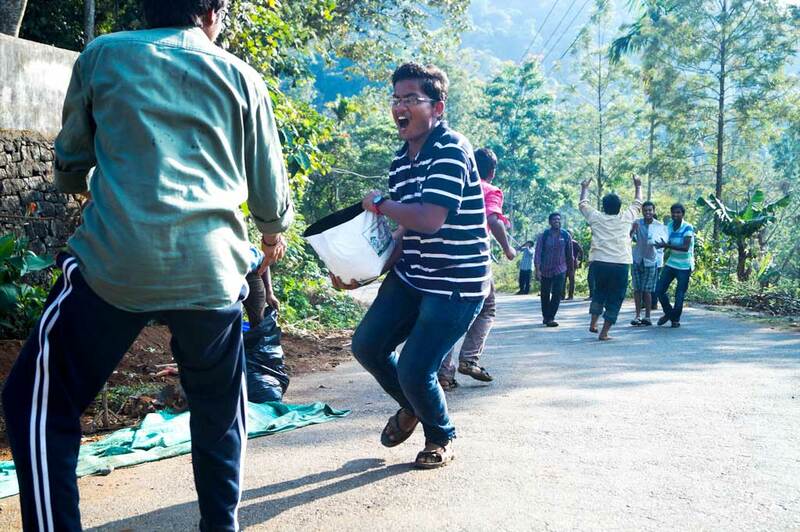 He was one of the organizers of a large seva project in Komalikudy, Kerala. In the end, fifty students and five faculty members joined together to serve during the Telugu new year at the end of February. The students from Amrita University started the activities in Komalikudy last year with a school program where they distributed pencils and notebooks to elementary students. 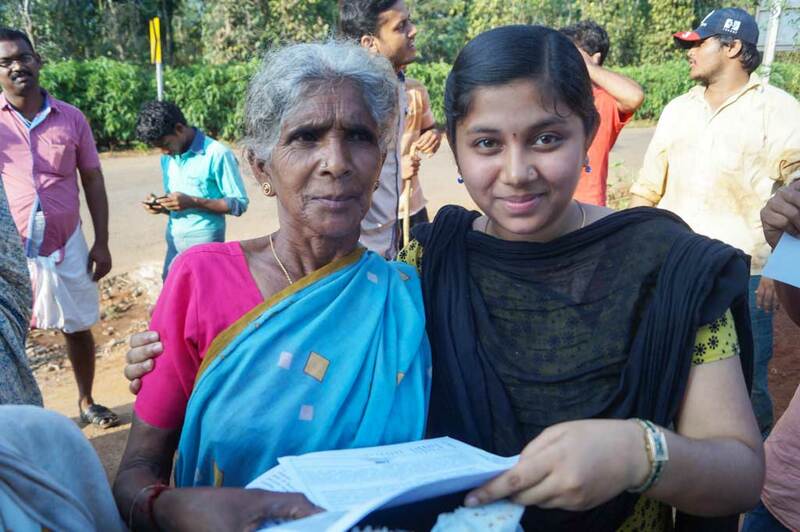 This year, they wanted to expand their work and went to Amma to discuss the idea of a medical camp. Some of their seniors were concerned about the endeavor, due to the concerns of safety in medical initiatives. But when they went to Amma to discuss the idea, she was happy to hear of their intentions. The medical camp went ahead. This year’s gramaseva was even bigger than that. The students also added an Amala Bharatam cleaning drive, organic farming, a water management project, interaction and awareness classes with school children, and meal programs. Coordinators planned everything with happy hearts, and enthusiasm spread all over university faculties. Professors from different departments even called to join with their students. In addition, Amrita University students and faculty donated the material for the school children and provided food, grow bags, and other necessary equipment. The two-day long program started with the medical camp, which was conducted by three doctors from Amrita Institute of Medical Science (AIMS). About 300 people live in Komalikudy and 120 of them turned up for the medical camp. 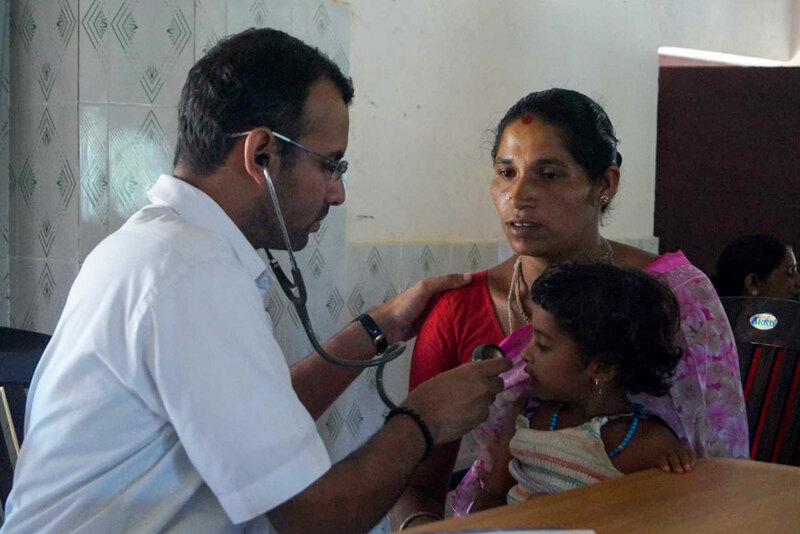 “Fever and more common issues were there, but also some serious cases too,” explains Ragunath. “The problem is that villagers work hard. They don’t have nutrition, and they don’t know how to eat properly. That’s the main issue. Most of them chew tobacco. Some cancer exists, too.” As part of the health initiative, awareness classes about alcoholism were also given. Meanwhile on the first day, the Amala Bharatam team dug a drainage canal for waste water coming from the village kitchens. As part of ABC, organizers included village children in the collection of garbage in public places. 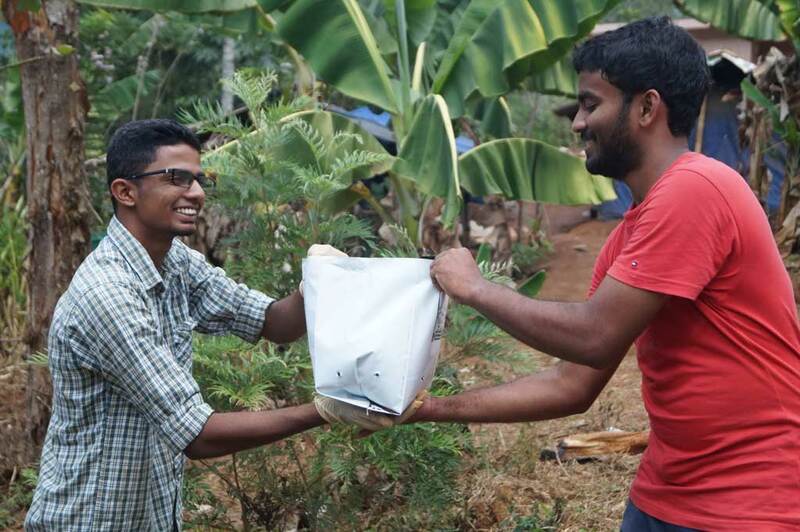 The second day of the program included digging compost and filling 200 grow-bags, two for each household. The bags contained various saplings with plants like tomato and chili. Another team of university students had the task of motivating children to study with inspiration from fun games. For example, they taught the children how to count up to 99 with their hands. They also distributed notebooks, pencils, and other basic needs. This even included some scientific toys with educational elements. And then there was the team of students who cooked food for everyone. That work went from morning until evening. One of the interesting aspects of this for the student team was that usually village women do not come out of their houses when strangers come to visit. They will go inside and close the doors and windows.